Yahoo! takes advantage of relocation for a change of work style. Yahoo! 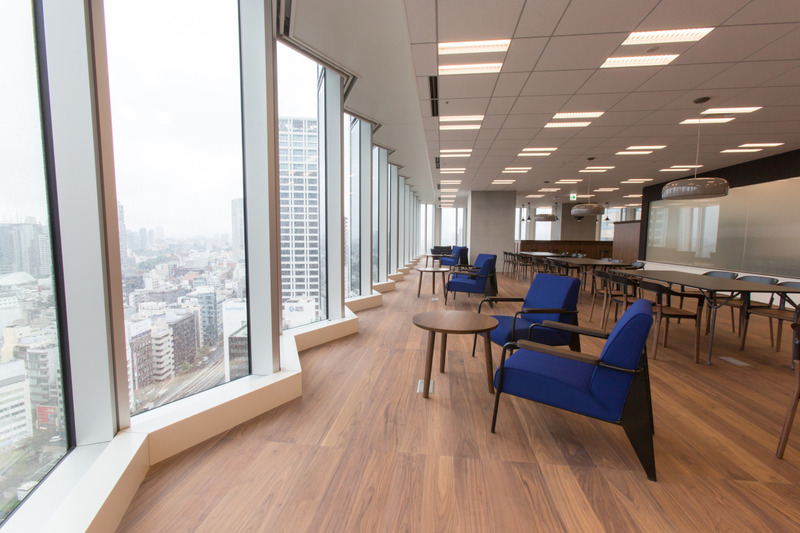 Japan’s headquarters relocation to Tokyo Garden Terrace offers the internet giant an opportunity to perform a complete makeover in accordance with its corporate culture. Therefore, along with the relocation, Yahoo! 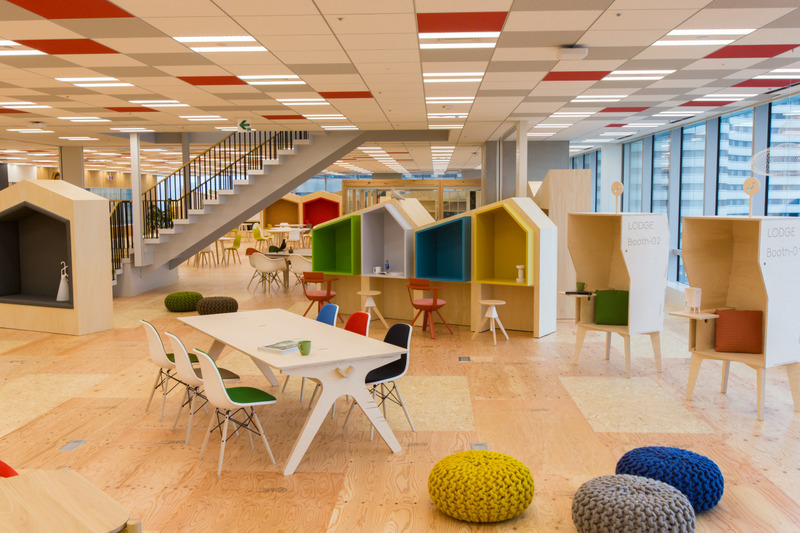 Japan aims to revolutionize how people work, whether alone, in a group or in a coworking space. Aesthetically, the building is integrated with the Akasaka Prince Hotel which lends Yahoo! Japan, a major tenant, cultural connection with a regal presence. The inside of the office is well-lit thanks to the generous amounts of natural light that flow in from its windows. The area was designed to maximise individual performance. For example, Okamura Muffle Workstations are placed along the windows as they are designed to offer employees comfort and privacy so that they can maximise focus in envisioning creative corporate strategies. 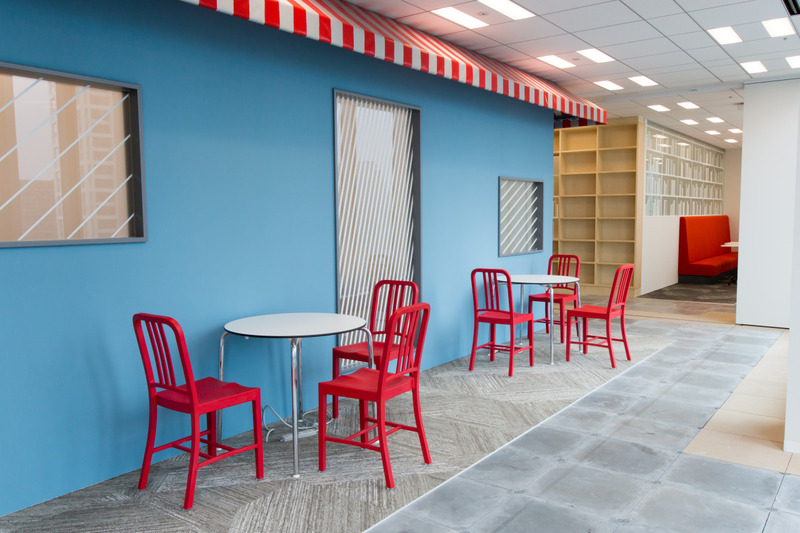 Unlike traditional offices with closed doors and partitions, the new open office concept features a zigzag layout that encourages healthy interactions and stimulates collaborative teamwork. Office furniture and accessories such as whiteboards are movable so that employees can change the layout of the office to create a working environment that is best suited to their working style and needs. This gives them a sense of individuality and ownership: Modifying their own workspace, constantly “hacking” the system, updating and revising it just like the internet. Yahoo! Japan has also adopted a locator app, which helps you locate your colleagues in the building, as well as gives you information on the location of less crowded spaces to work in, saving you the trouble of physically walking each floor to locate them. Advanced voice controlled IoT regulate the temperature of your workspace: all you have to do is utter “too hot” or “too cold” to alter your surrounding temperature according to your preference. Next, we introduce the coworking space, an in-house restaurant and a café. In these meeting spaces, we can also have lunch and coffee breaks with our customers. 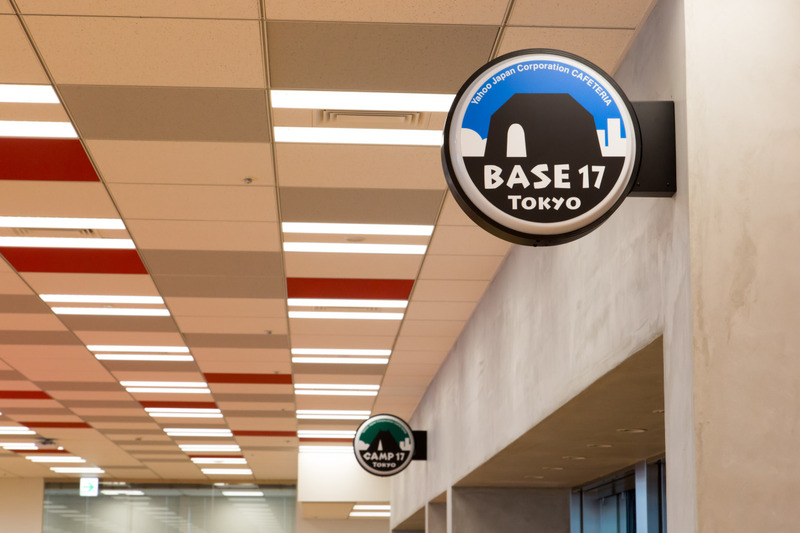 The restaurant and café are named “BASE” and “CAMP” respectively: at Yahoo! Japan, high targets are compared to mountains, and the “base camp” at the foot of the mountain and provides the energy needed for the climb up. It’s a place for more than just food and drinks – it’s also a place where employees, customers and partners can meet to communicate! 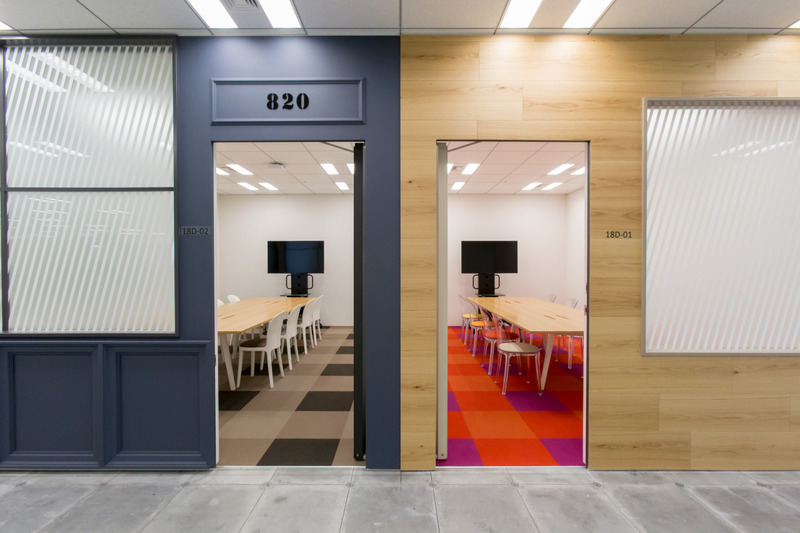 On the same floor, there is the largest coworking space in Japan: called the “LODGE“. Tables and sofas in LODGE are movable, and you can change the layout freely. 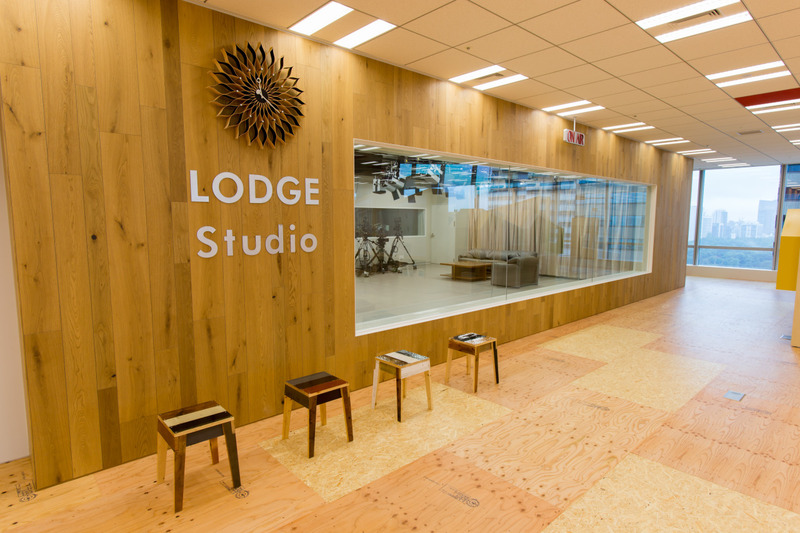 Besides that, there is the “LODGE Studio” which Yahoo! tickets and GYAO! uses for movie recording and live broadcasting. Non-employees are also welcome here. The last visitor area: A digital signage is placed next to the reception desk. Notice the floor looks unfinished? The interior design is deliberately made to appear “unfinished” to echo the internet’s state of constant evolution and change. 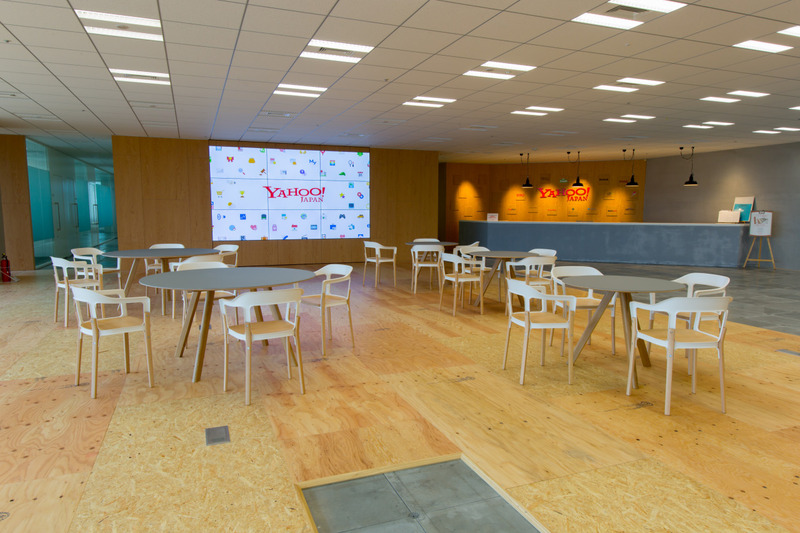 The visitor area is represented by the concept of six keywords: “buy”, “investigate”, “know”, “gather”, “live” and “enjoy” that defines Yahoo! Japan’s impressive array of over 100 services. Along with the relocation of the Yahoo! 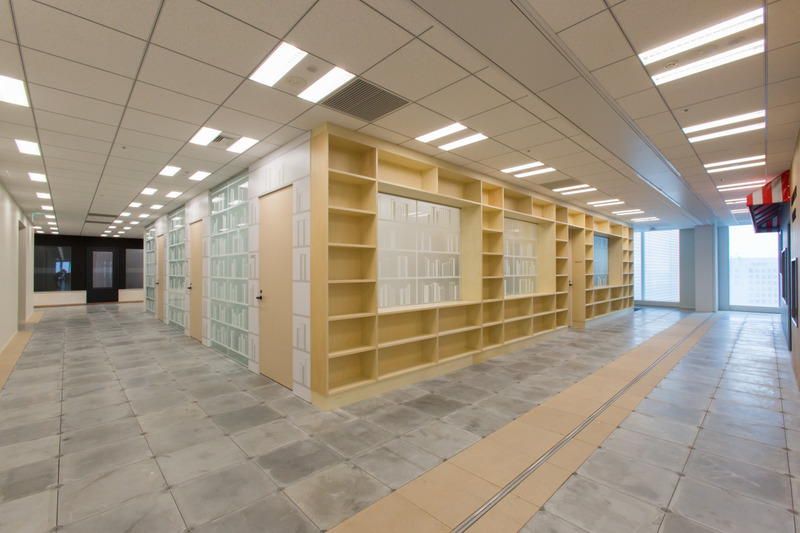 Japan headquarters, the company also has plans to support various ways of working and to promote better health and boost employee performance. Okamura | Vitra | Republic of Fritz Hansen | Flos etc.